I am an artist based in Sydney, and curator of the Fieldwork exhibition. 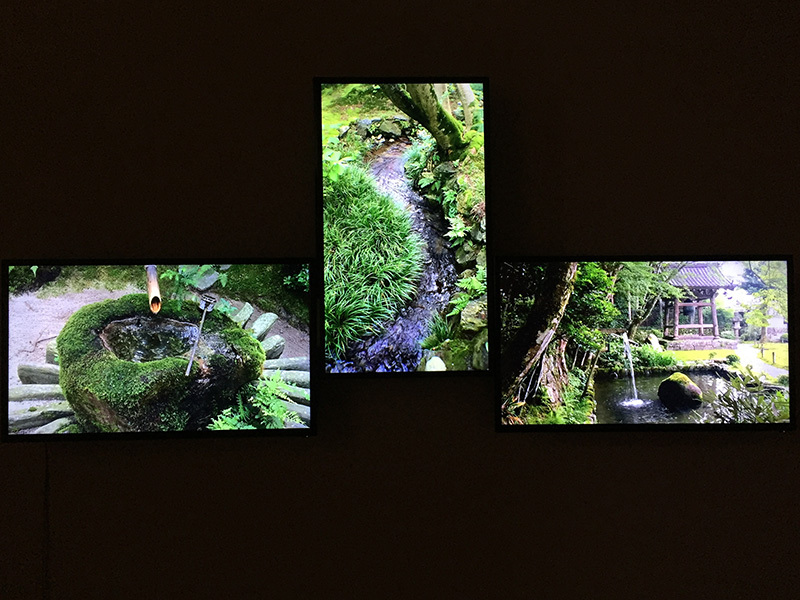 My individual work in this group show is WaterWalkKyoto, an audio-visual exploration of water in the sonic ecologies of everyday life in Kyoto, Japan. There are 54 different videos shown on each screen – 162 minutes in total. The videos play in random sequences from custom-designed media players developed in collaboration with Jon McCormack. All 54 videos on each player display once before a new random sequence begins, so combinations of sound and image across the three screens vary constantly. 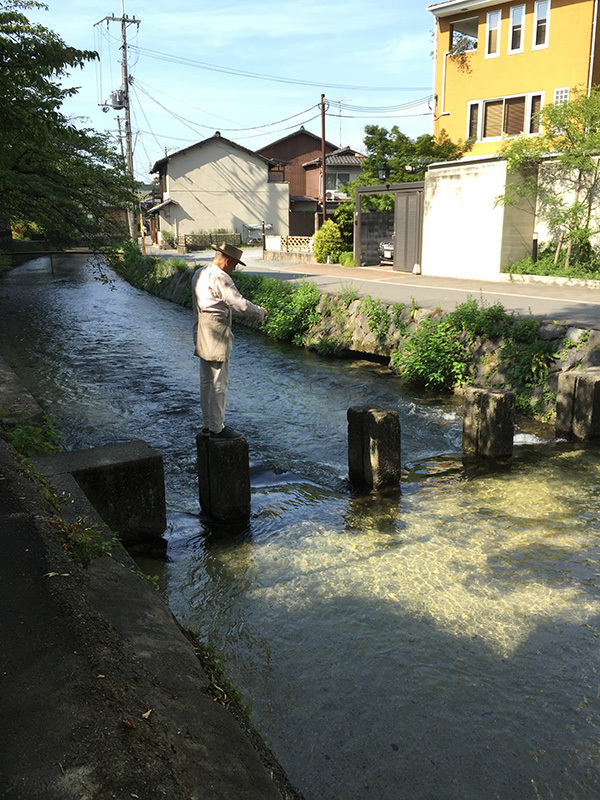 WaterWalkKyoto is an intentionally experimental and contemplative work, employing a compositional strategy with direct allegiance to the work, ideas and life of John Cage who spent formative time in Kyoto in the early 1960’s. In 1959, Cage composed Water Walk ‘for solo television performance involving a large number of properties and a special single-track tape…’. He first performed the new composition on local TV in Milan, Italy but the work is best known today from the online archival video of a subsequent 1960 performance on the American TV show “I’ve Got a Secret”. During the live televised event, the theatre audience is in hysterics of disbelief as the tall besuited Cage happily wanders an elaborate assembly of devices and objects spread across the stage, quickly and deftly effecting a radically defiant cascade of acoustic eruptions.